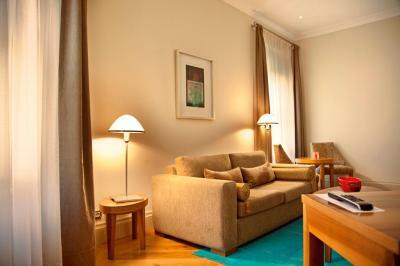 Lock in a great price for Tomtom Suites – rated 9.4 by recent guests! I would highly recommend staying at Tomtom suites. The location is perfect. 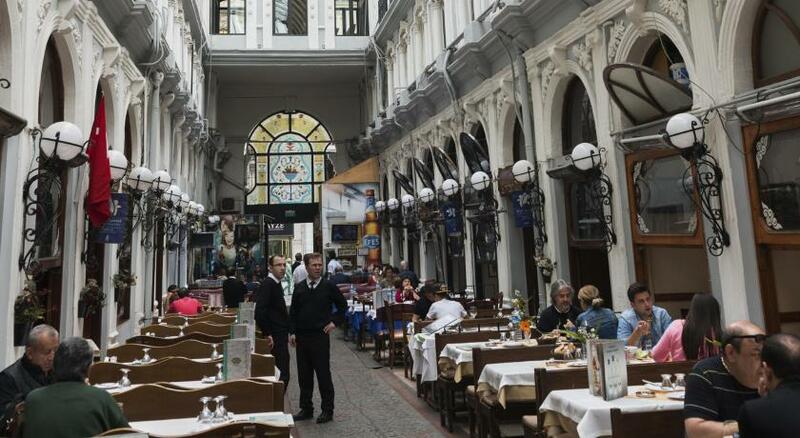 It is located on a small quiet street right off of the busy and lively Istiklal street. After exploring Istanbul for a few days, my boyfriend and I decided this location was our favorite place in Istanbul. 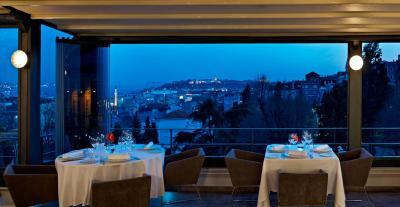 You are close to many great restaurants and bars (many of which have amazing views of Istanbul). 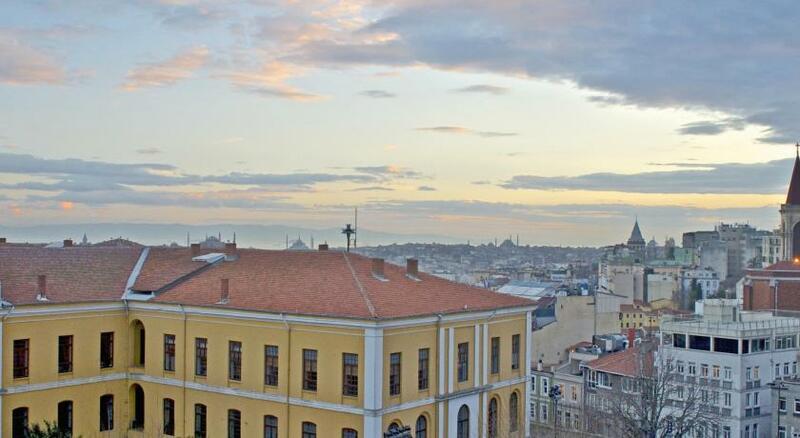 The Galata tower is also no more than a 10 minute walk away. The staff was incredible friendly and helpful; they helped us catch a taxi to the airport when we were checking out which was a huge help to us. The view from the breakfast area was also spectacular. 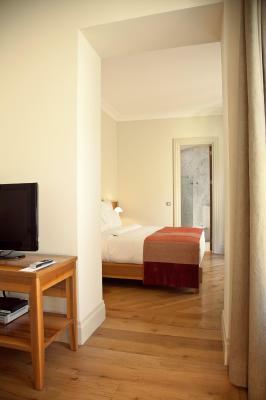 The rooms were clean and nice! The heated tile floors were also a nice touch. We were celebrating our 35th Wedding Anniversary with our grown children in the Holy Lands. We had a 23hr layover to enjoy your hotel and then celebrate my 59th birthday dinner. The upgrade was a gift of the hotel. Having all suites on the same floor was extra convenient. My daughters chuckled with delight when they entered into their room. Great experience and memories - thank you! Wonderful place. Helpful kind professional and considerate staff. Loved being with them. 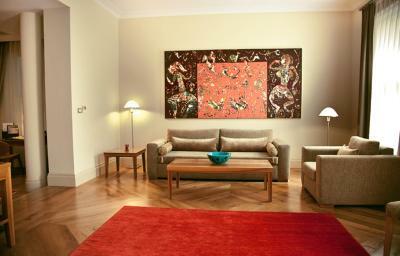 The room was clean and very spacious. 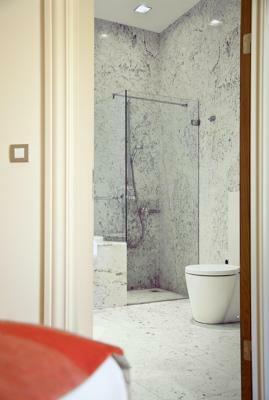 The bathroom was comfortable and provided all the necessary amenities. Staff was very friendly and helpful. Very clean and modern. Staff exceptionally helpful. A small luxury hotel in a very good location. The staff was courteous and helpful with charming ladies both at the reception and in the breakfast room who also have a good fashion sense. 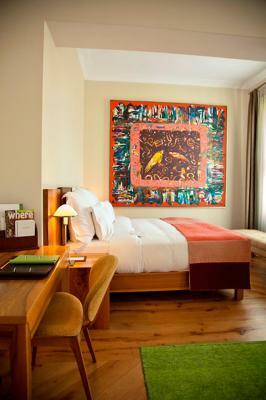 The rooms are quite big with plush bathrooms and modern art pieces scattered throughout the hotel. I felt like sleeping in the bathroom ;) This hotel is a 10 minute walk from the famous Taksin square in a safe place with many interesting shops on the way. our flight out of Turkey was a late night flight and we deposited our luggage at the reception who also called a taxi for us. They also did not mind us sitting in the lobby and using the WiFi even though we had checked out. Beautiful building and rooms axtremely helpful staff. Airline lost one of our bags and delivered it to the hotel after our stay. They kept it and returned it to us when back in Istanbul. Wonderful breakfast with amazing views. Great place to stay. All the staff were wonderful and extremely helpful. 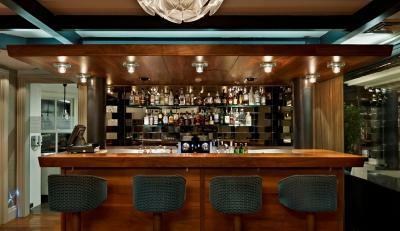 Location, chilled decor, cozy and peaceful! I really liked this little gem! 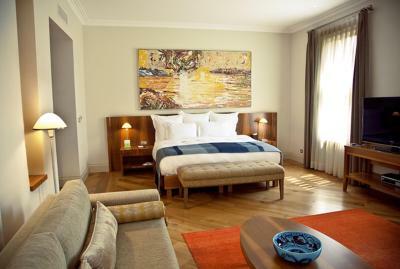 Tomtom Suites, member of Small Luxury Hotels of the world, is located in a historic building in Istanbul’s Galata district. 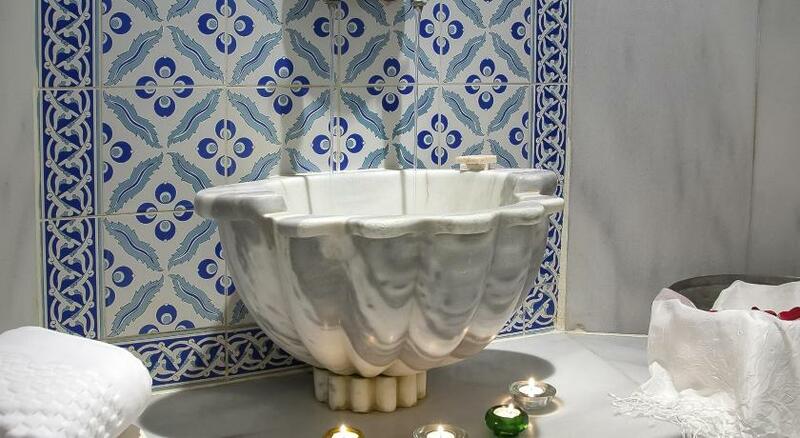 Every room has a private spa bath, and there are Marmara Sea and Sultanahmet views from the roof top terrace. 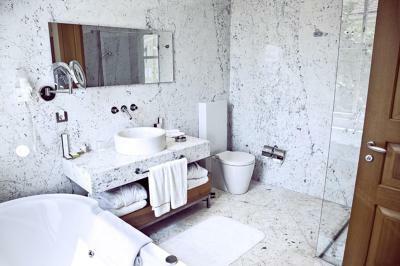 All suites at Tomtom feature modern amenities and luxurious Carrara marble bathrooms. 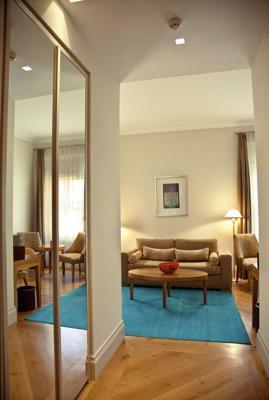 The rooms have high ceilings and wooden floors, and provide free Wi-Fi access, iPod docking station and a tea/coffee maker to all guests. The a-la-carte Nicole Restuarant offers a modern interpretation of Turkish and Mediterranian cuisines and the menu changes every six weeks. 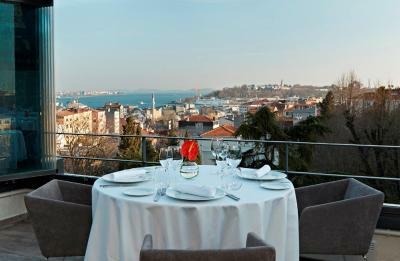 Gastronomic journey is paired with chateau-style Turkish wines at the charming terrace overlooking Topkapı Palace, Prince Islands and beyond. 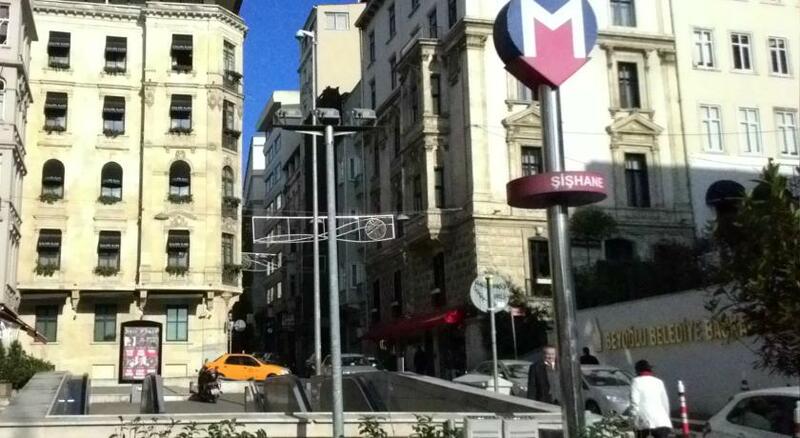 Taksim Square is just over 0.6 mi from the Tomtom, and it is a few minutes’ walk to Galatasaray High School. Istanbul Airport is 32 mi away. 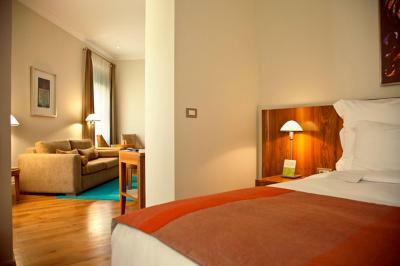 When would you like to stay at Tomtom Suites? 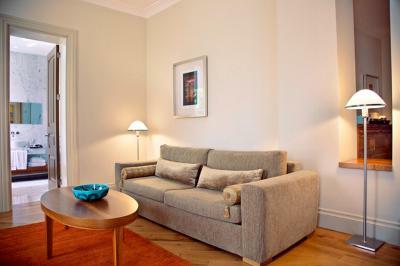 This air-conditioned suite includes an LCD TV, spa bath and a Nespresso machine. Free newspaper delivery is also offered every day upon request. 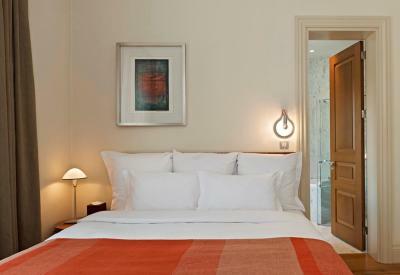 Please note that the type of bedding of this room is 1 large double bed, cannot be arranged as twin bed. 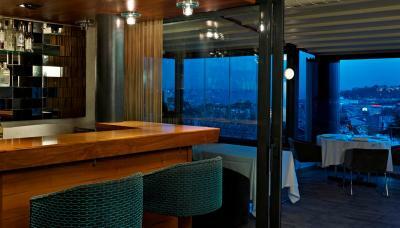 This luxurious suite includes a 2100-ft² terrace and a Nespresso machine. 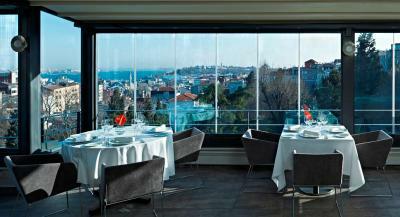 It offers views of the Marmara Sea and Topkapi Palace. Free newspaper delivery is also provided every day upon request. 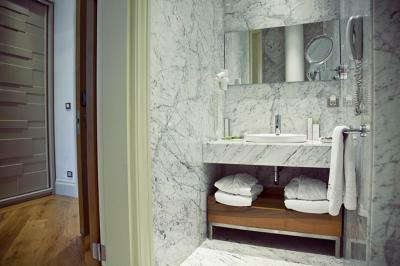 This spacious suite has city views, a Nespresso machine and a marble bathroom with a spa bath. Free newspaper delivery is also offered every day upon request. 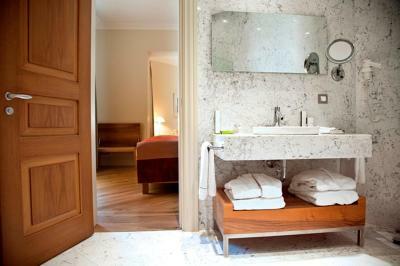 This spacious suite has garden and city views, a Nespresso machine, and a marble bathroom with a spa bathtub. Free newspaper delivery is also provided every day upon request. 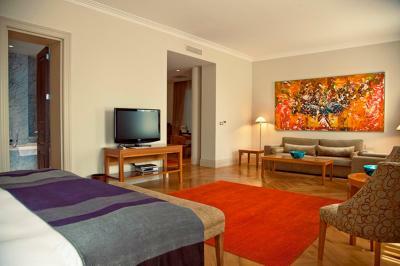 Spacious suite with spa bathtub, LCD TV and a Nespresso machine. Free newspaper delivery is also provided every day upon request. This suite has no window in the bathroom and the sleeping area. It has only one window overlooking the courtyard. 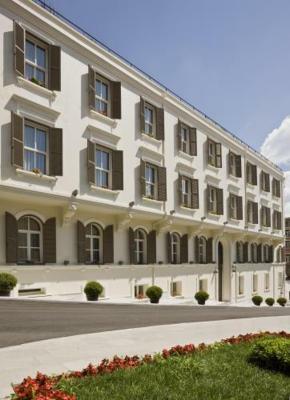 Tomtom Suites is an authentic Istanbul building whose posture reflects the social history of Pera from the 1850s to recent. 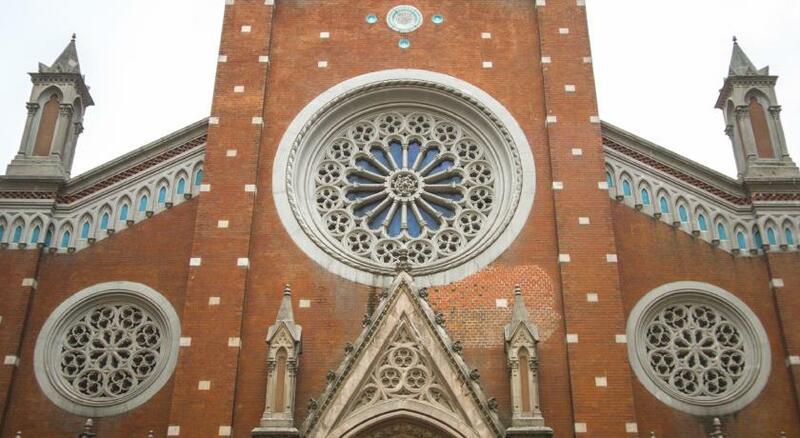 Throughout history, this building was home for French nuns and some well-known Levantine families. 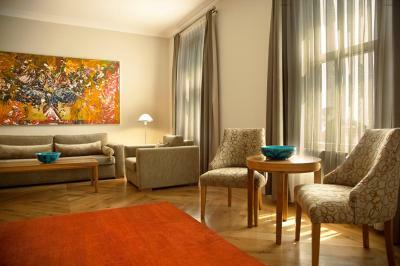 Nowadays the building hosts its new guests with a "younique" service policy and a new design, pairing modern comfort with historical background. 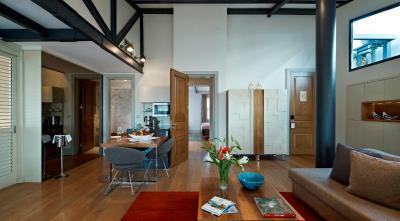 Tomtom has 20 suites, a rooftop terrace offering a panoramic view of the old town and a nostalgic outlook. 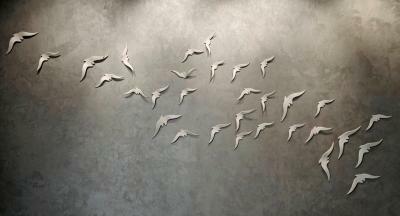 The venue tells the story of a building old of over a century with a stylish language, keeping the essence of its history. 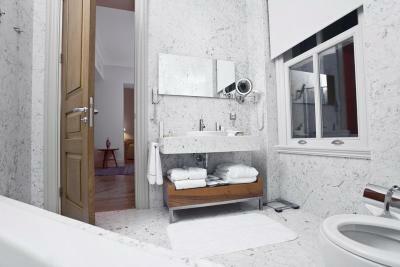 House Rules Tomtom Suites takes special requests – add in the next step! Tomtom Suites accepts these cards and reserves the right to temporarily hold an amount prior to arrival. Please note that the hotel offers free iPad usage during breakfasts. Staff, location and room was great. Top location; very quiet. Excellent breakfast. Big rooms. there were some road blocks preventing taxi stop at the hotel door thus guests have to walk an upward slope. The staff are friendly and professional. Since taxi couldn't stop at the hotel (there were some road blocks), the staff helps us carry the luggages. Free update of room was provided when we checked in. Service at breakfast was pleasant. 5 different pillow options are provided and they were very comfortable. Unfortunately sales are not available. 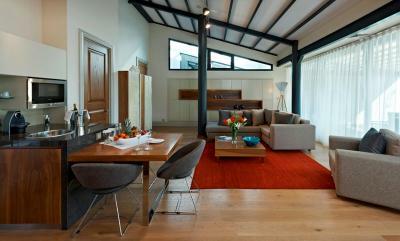 The floor height was over 3m that made the room looked more spacious. 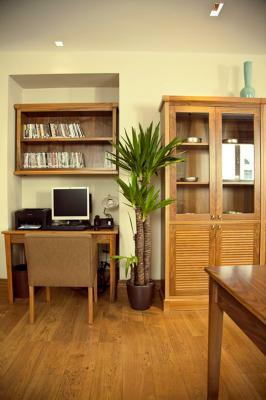 Hospitable and attended staffs, comfortable bed and convenient location. There is some noise from the street even though it is closed to traffic. 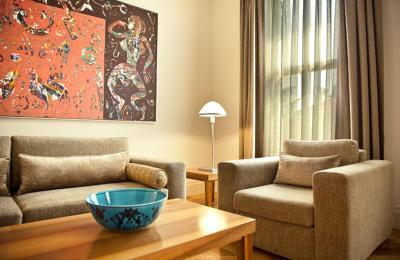 We had a wonderful stay at TomTom Suites. All the staff, especially Nurol and Muzaffer, are extremely helpful and welcoming, and they have made our stay an unforgettable one. The room was very comfortable and the in-room jacuzzi helped to relax at the end of the day. Views from the restaurant are incredible, as is the breakfast and the very helpful breakfast staff. 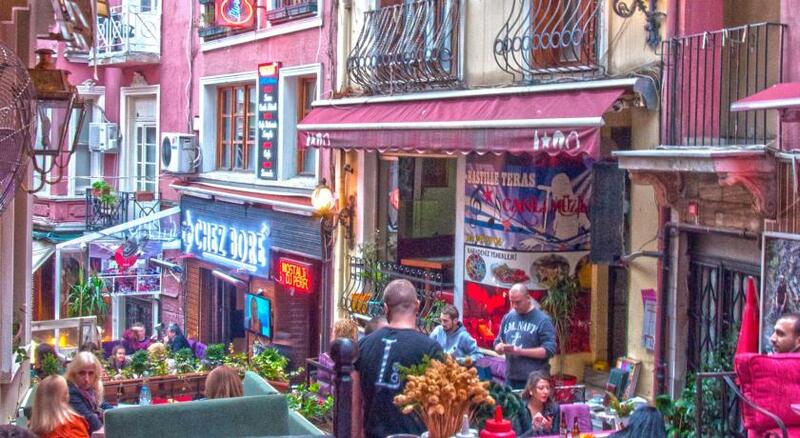 The hotel is conveniently located close to tram and metro stations, and only a very short (yet uphill) walk to istikal caddesi, which is full of shops, restaurants, cafes etc. Definitely recommend. 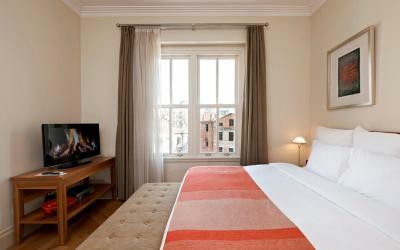 Very clean, well run hotel with very comfortable beds. All the staff we met were friendly and very helpful. The location was ideal for either walking or public transport. Breakfast was excellent with a good selection of food and the top floor restaurant itself has wonderful views of the city. Dinner in Nicole’s was delicious. It is based on two tasting menus - the produce is fresh, seasonal and good quality and the presentation delightful. Everything was perfect , couldn’t have asked for more! Most hospitable staff I have come across! !